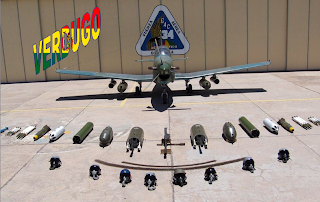 A few dozen HN-5 shoulder fired surface-to-air missiles were loaded on a U.S. cargo plane and flown to the U.S. to be dismantled. 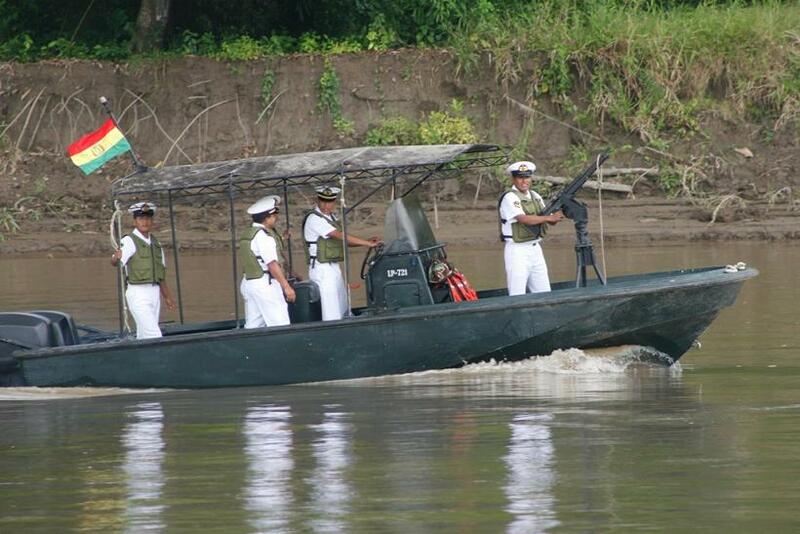 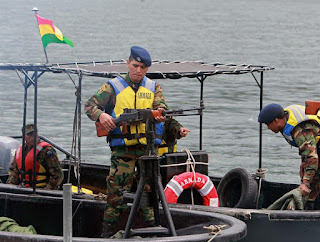 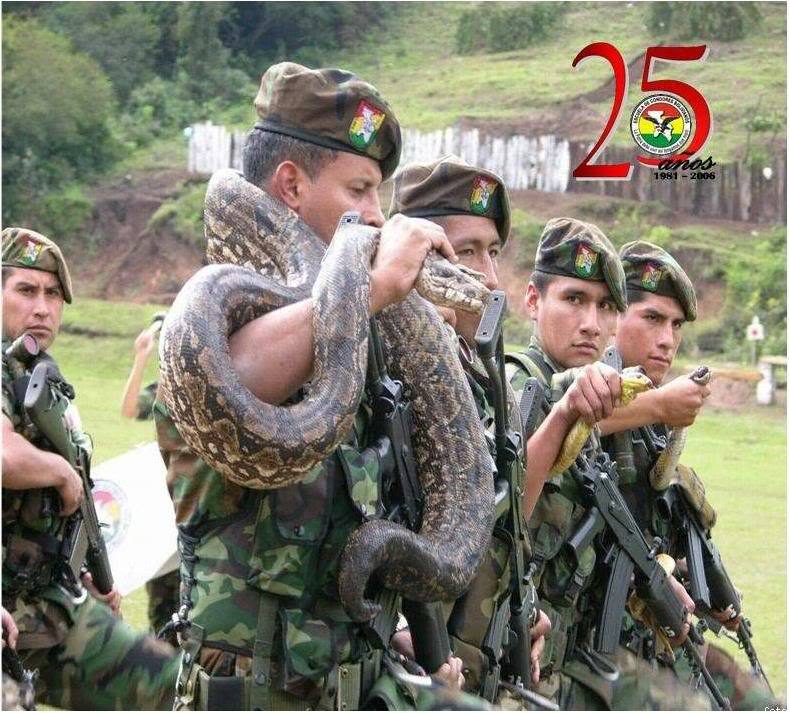 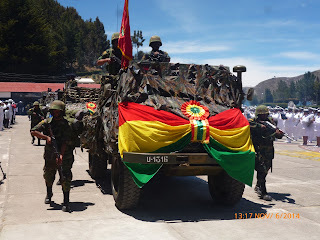 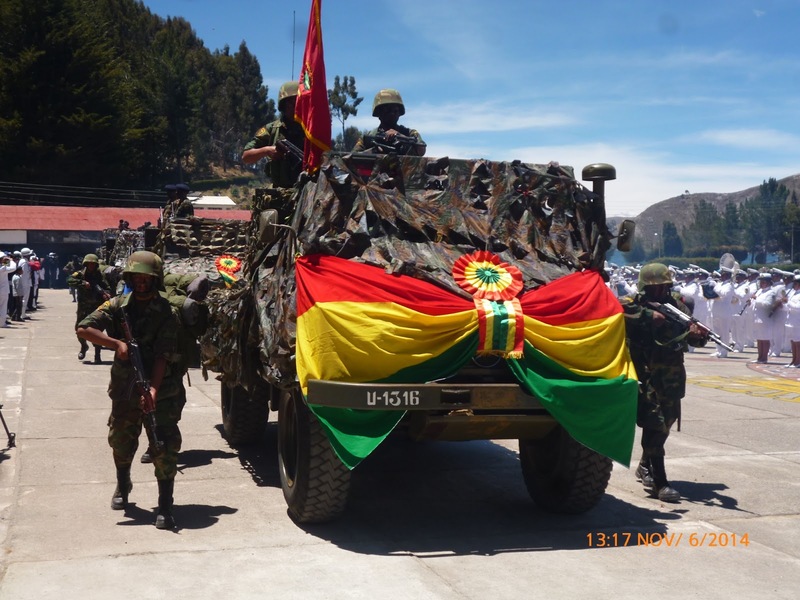 This action was carried out without the permission of the president of Bolivia. 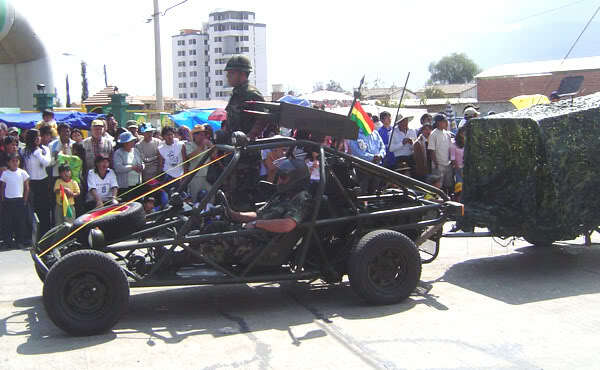 The people of Bolivia were outraged over the incident. The weapons were purchased in the 1990's. 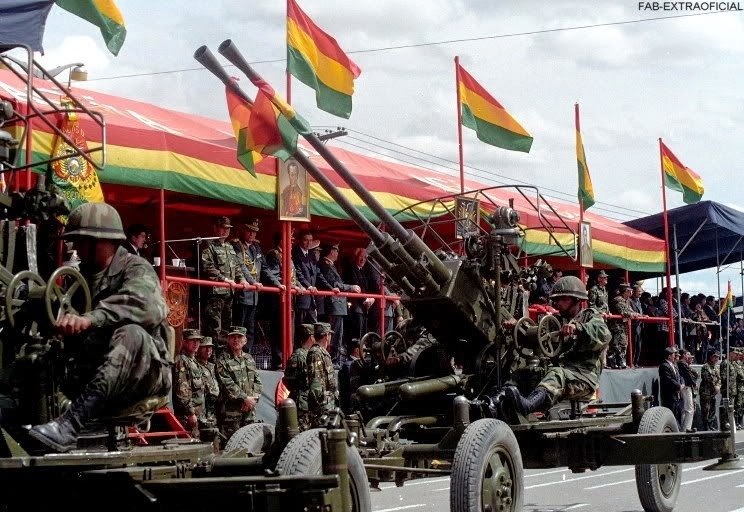 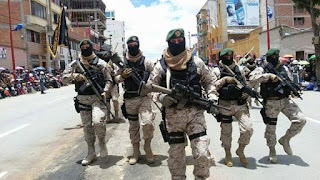 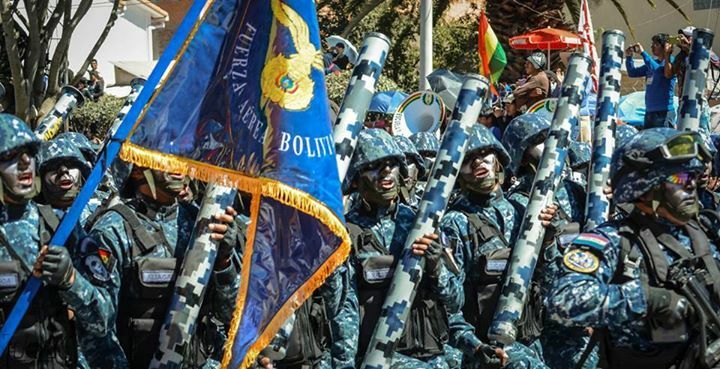 2006- Bolivia sent soldiers to occupy foreign owned gas companies, and on the 1st of May (May Day) the gas companies were nationalized. 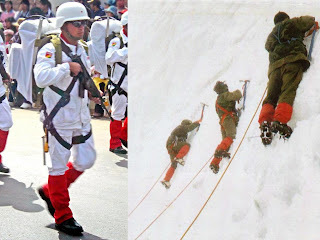 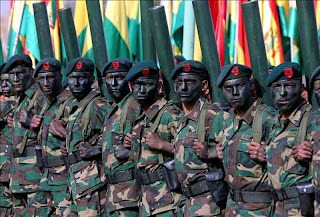 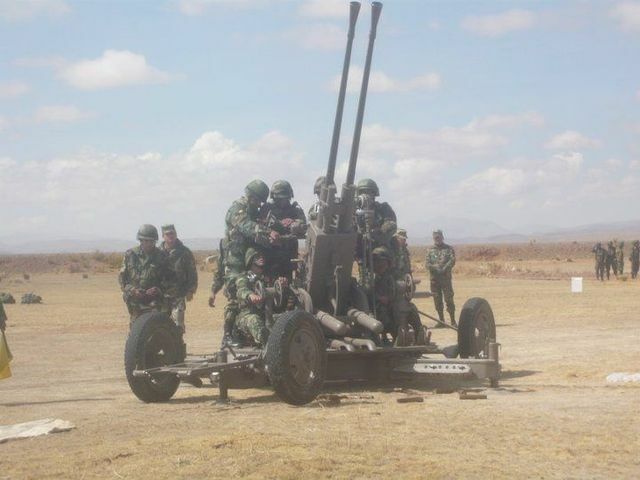 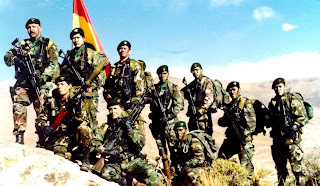 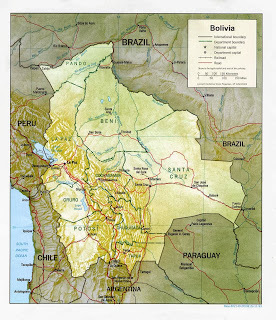 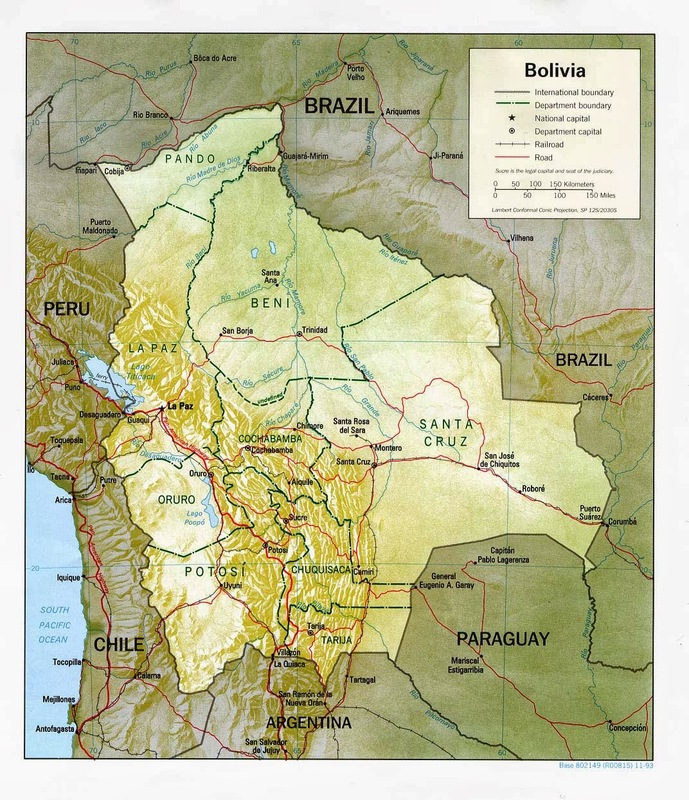 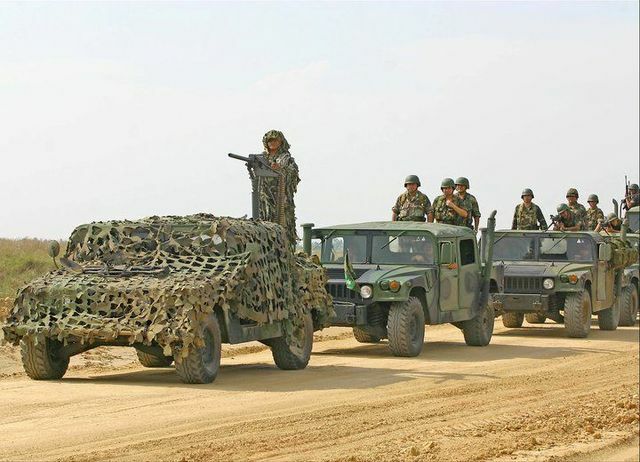 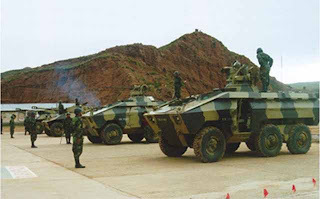 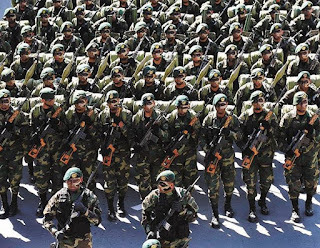 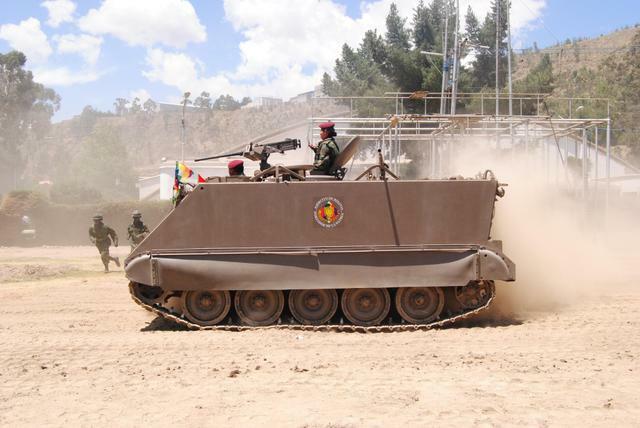 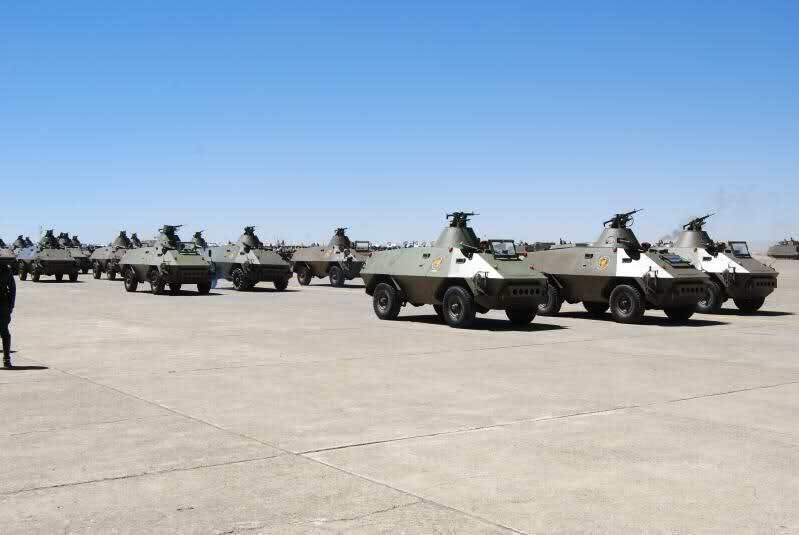 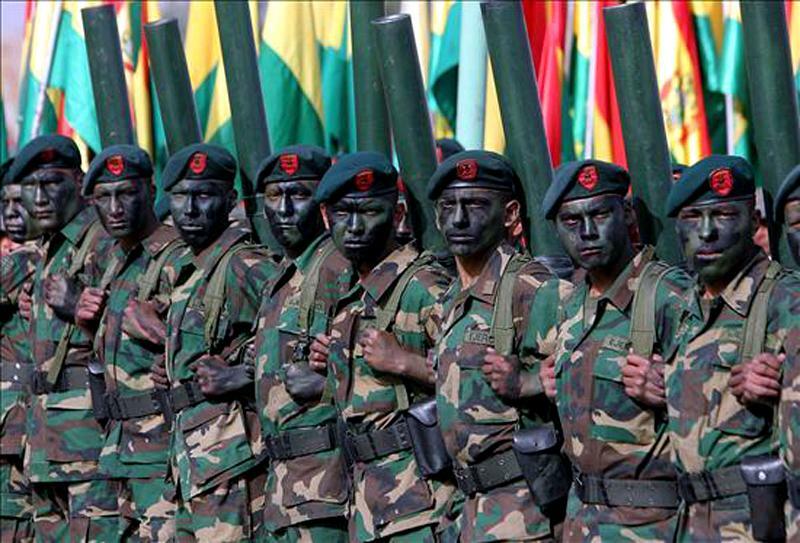 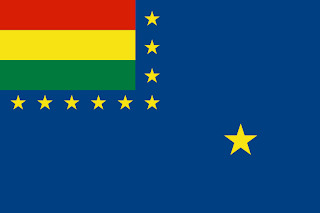 2006- Two new military bases are to be built in the lowlands of Bolivia. 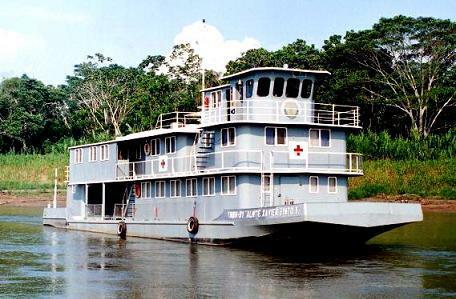 To cost around $22 million. 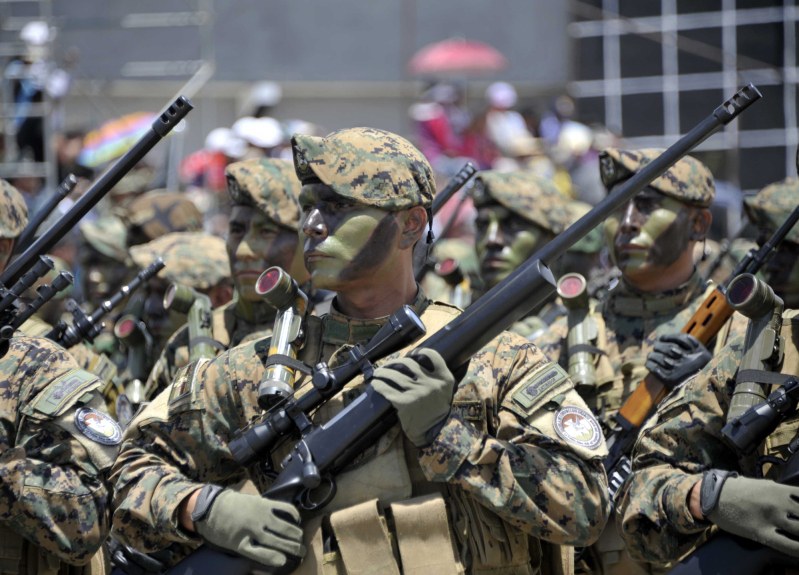 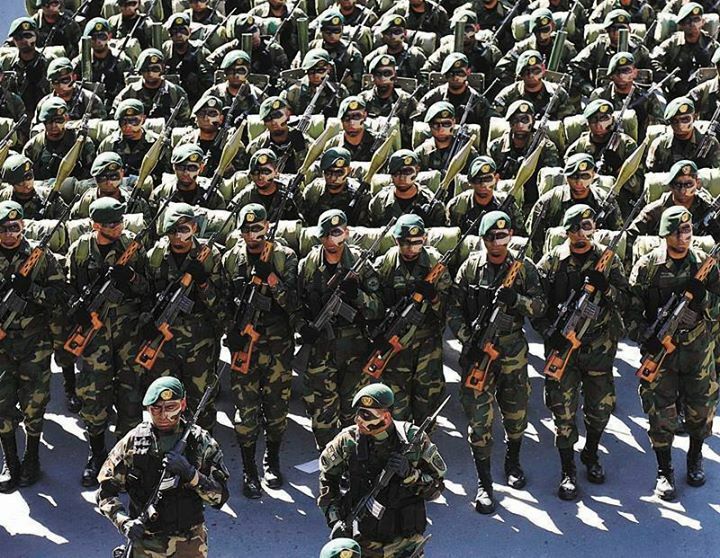 The bases are to station some 2,500 elite soldiers. 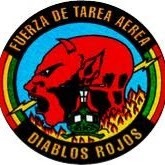 The bases are most likely being built to watch for any incursions from U.S. forces coming from Paraguay. 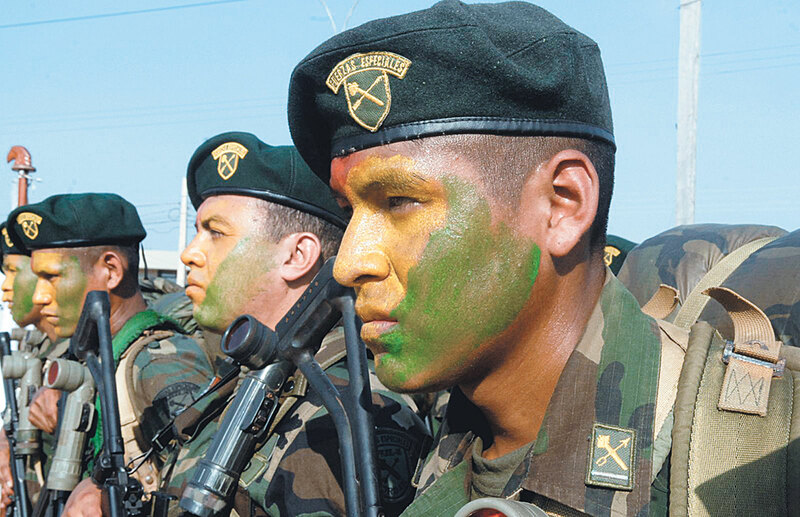 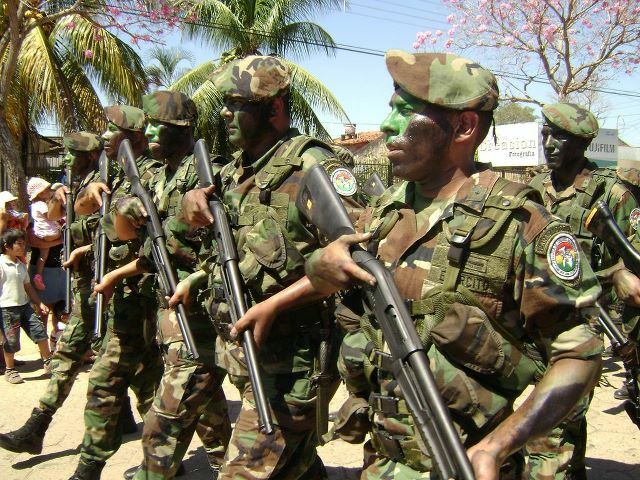 There are U.S. forces stationed in Paraguay supposedly to train Paraguay military and police forces. 2006- Bolivian president Evo Morales announced that Bolivia would no longer be attending the Western Hemisphere Institute for Security Cooperation (formerly known as the School of the Americas) at Fort Benning, Georgia. 2007- A U.S. embassy official in Bolivia told members of the U.S. Peace Corps volunteers to spy on Cubans and Venezuelans in Bolivia. 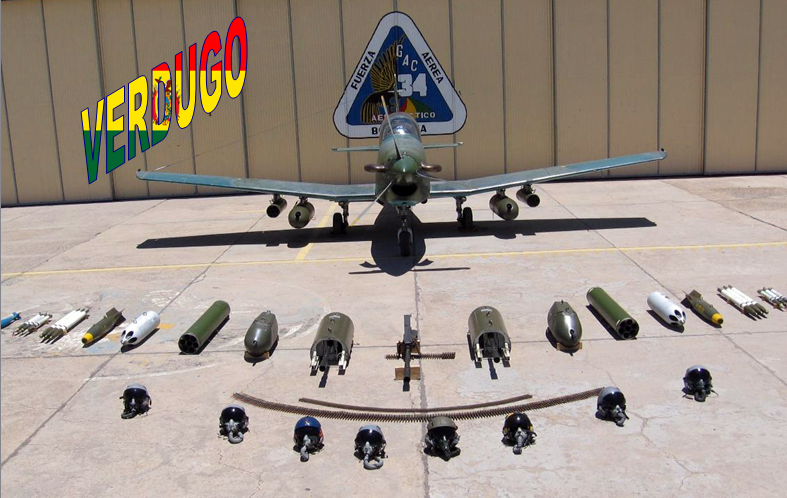 APR 2013- The US donates three C-130 transport aircraft, eight UH-1 helicopters, and one King Air airplane to Bolivia for counter drug operations. 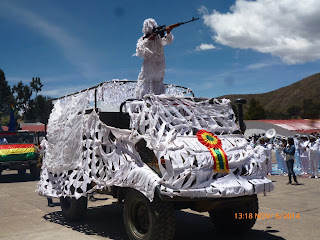 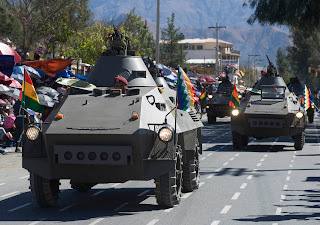 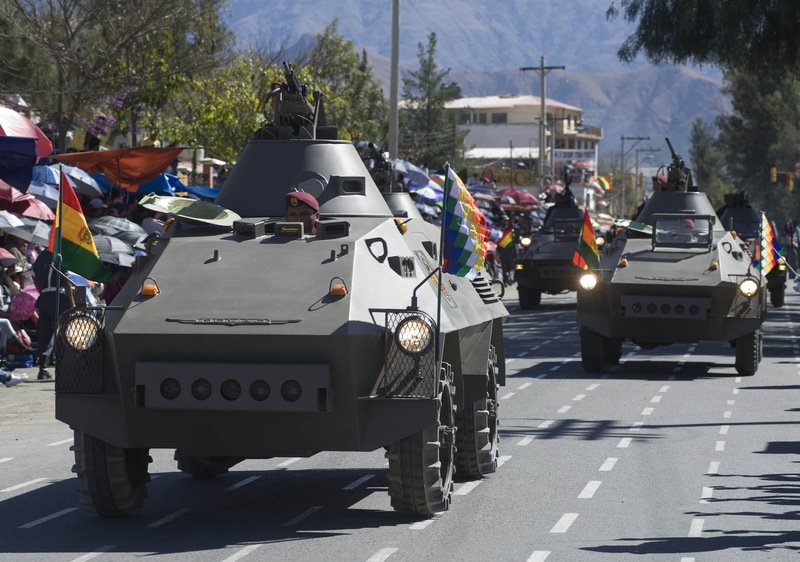 01 MAY 2013- Bolivian president Evo Morales seeks to expel the CIA linked U.S.AID, stating that the organization has been used to spy on Bolivia and other nations. 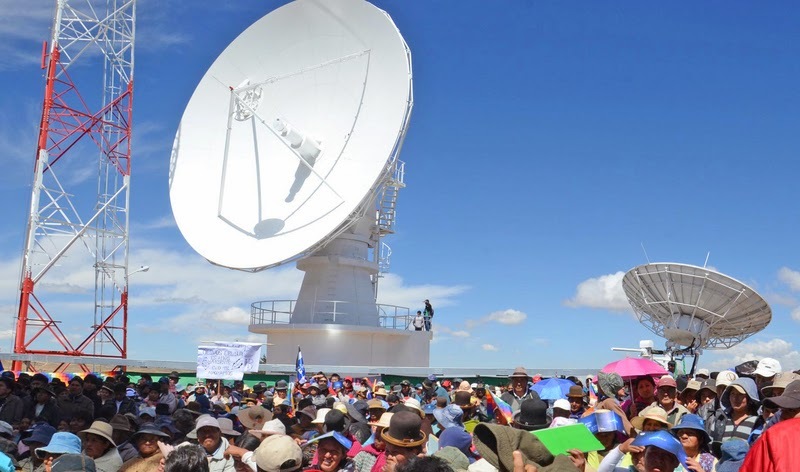 20 DEC 2013- China launches Bolivias first communications satellite. 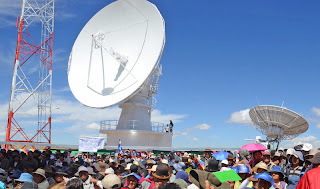 The Tupac Katari (TKSat 1) satellite was launched from a Chinese Long March-3B rocket. 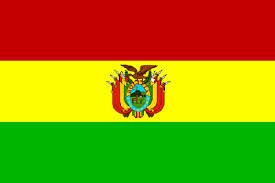 The Bolivian Space Agency (ABE) created the satellite. 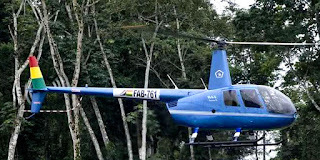 The satellite, Tupac Katari, is named after a Native American resistance leader. 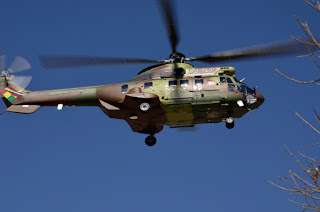 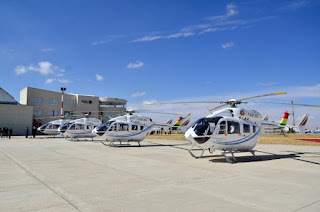 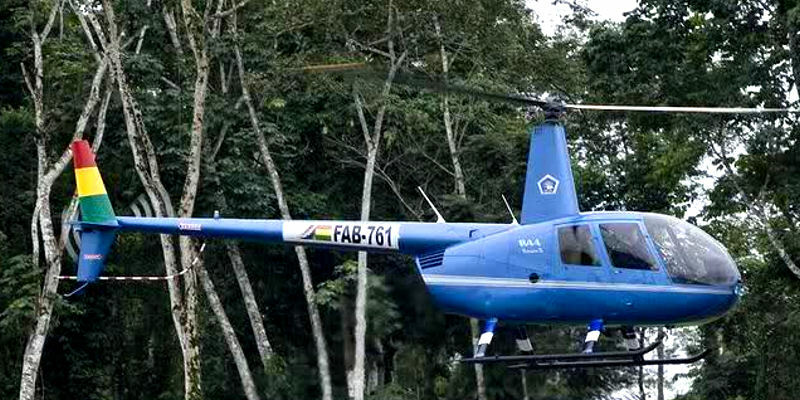 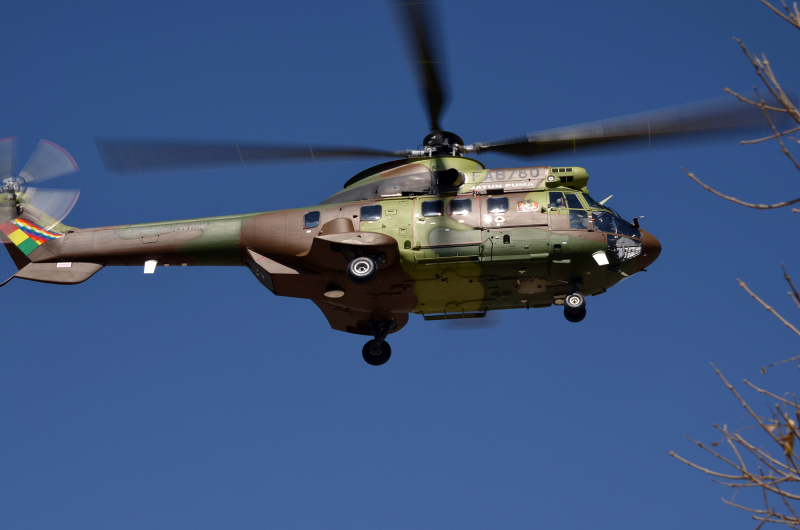 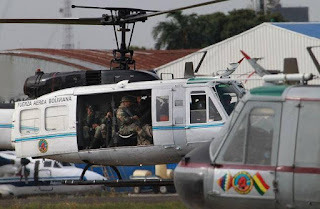 Search and Rescue (SAR) group that operate UH-1 helicopters? 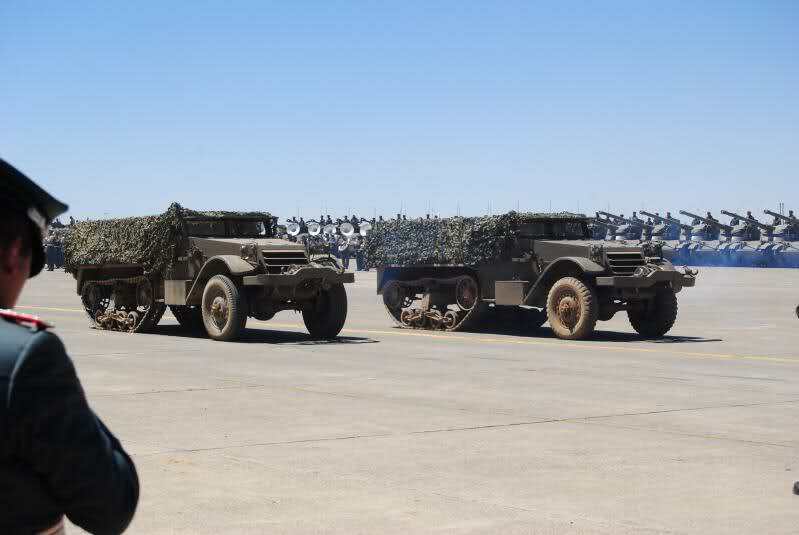 Transport group that operate C-130 aircraft? 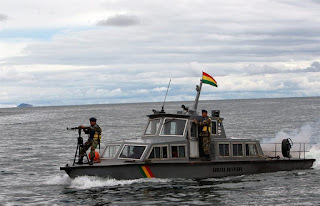 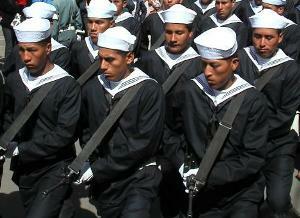 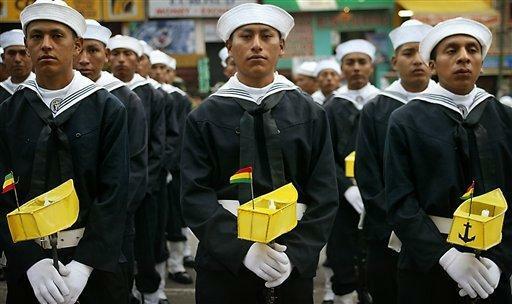 Bolivia is landlocked, but maintains a small navy which operates mainly on Lake Titicaca and on rivers. 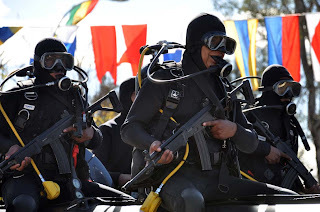 Every year in an annual ceremony on the Dia del Mar (Day of the Sea), Bolivia politely asks Chile for its coastal lands back that were lost during the War of the Pacific in 1879-1884. FV 101 Scorpion light tanks ? 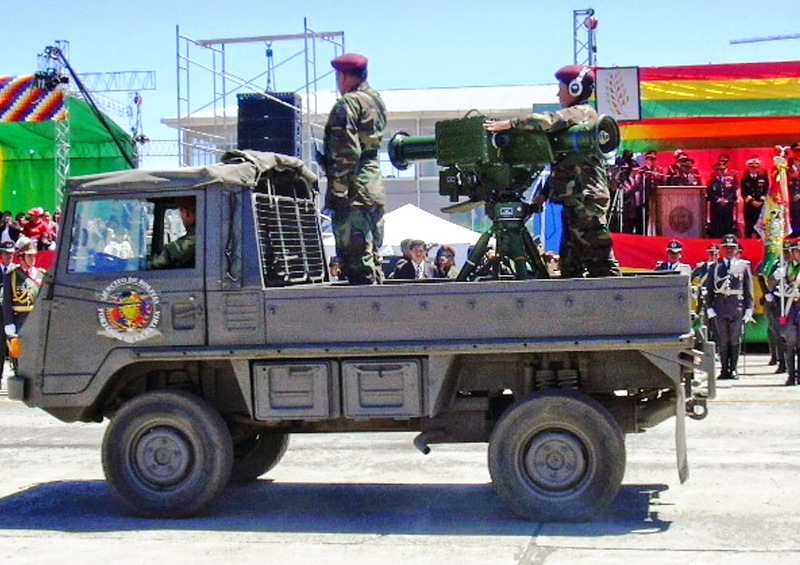 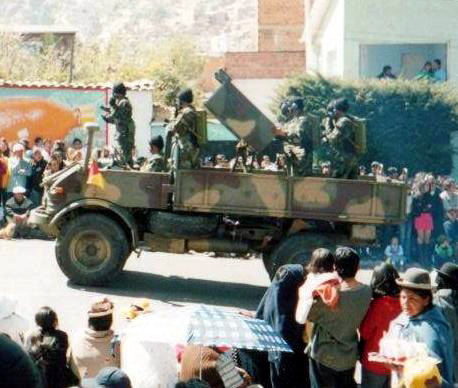 Unimog trucks with small Bolivian made multiple rocket launchers. Still used? 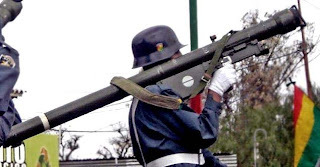 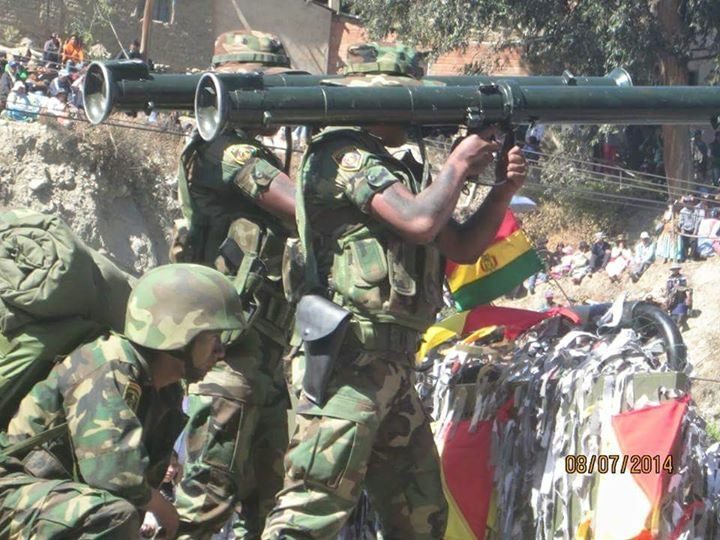 RL-83 Blindicide anti-tank rocket launchers? 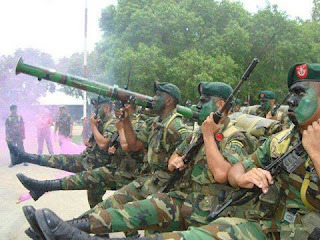 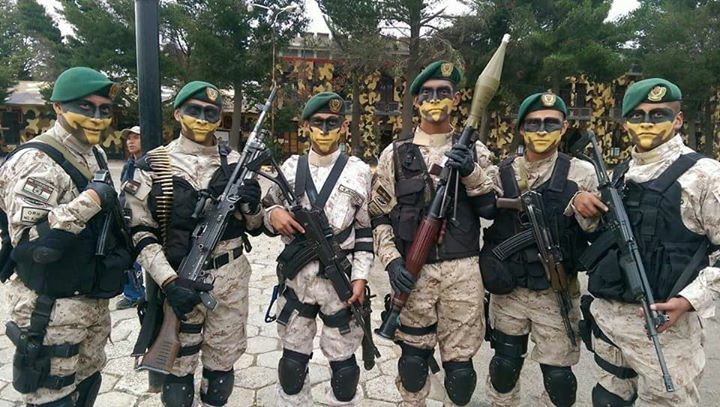 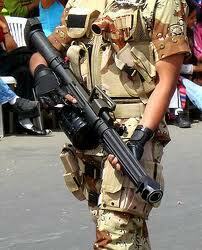 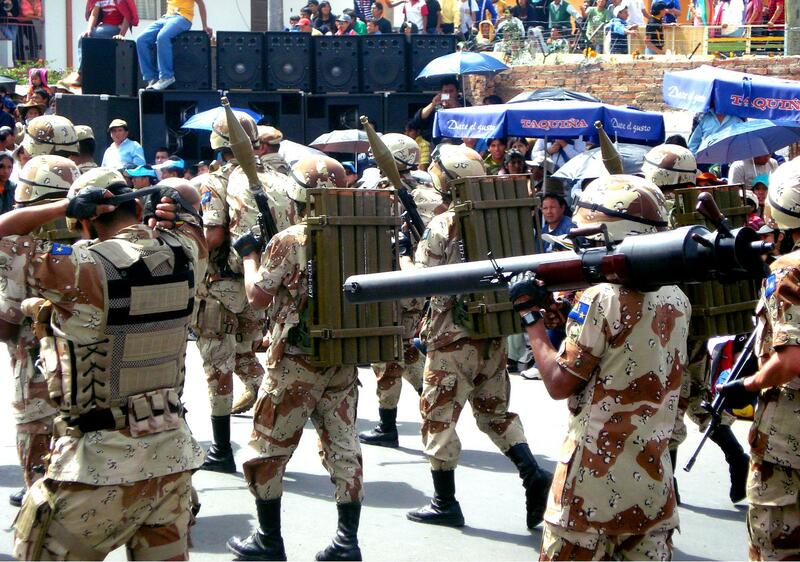 Type 87 (QLZ-87) 35mm automatic grenade launchers? SIG SG 542 assault rifles? 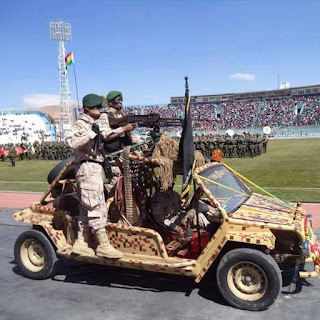 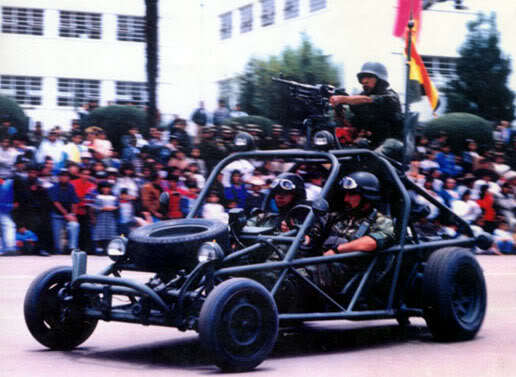 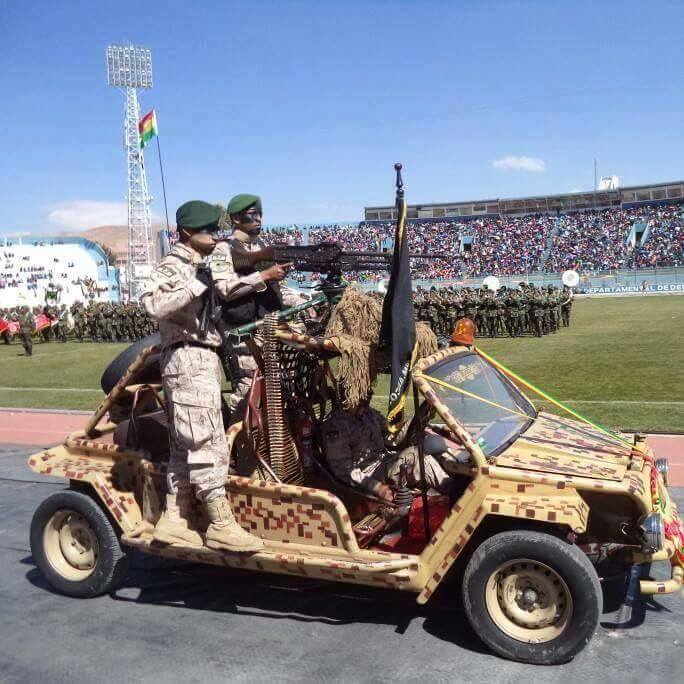 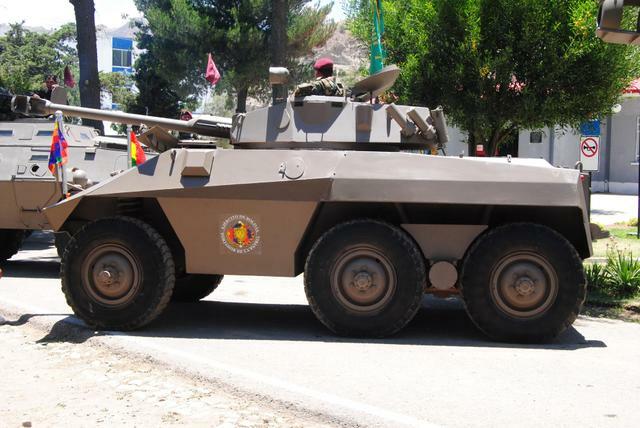 Koyak- Bolivian made dune buggies used by Special Forces. 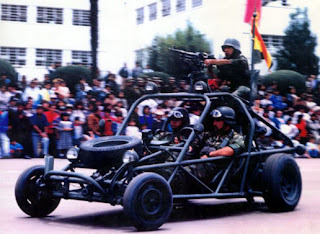 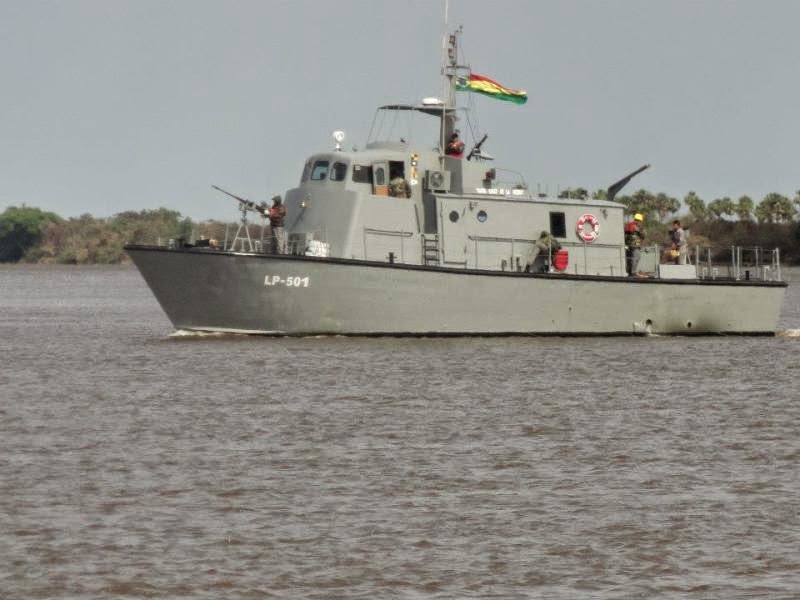 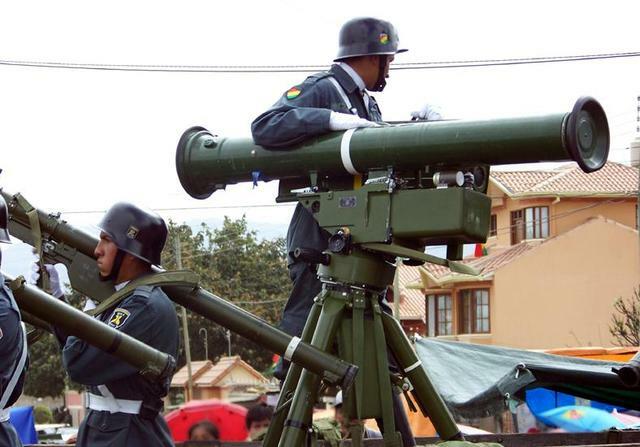 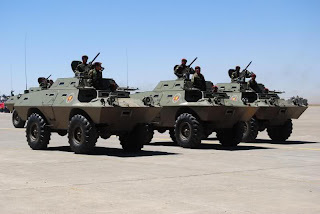 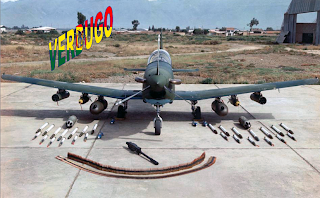 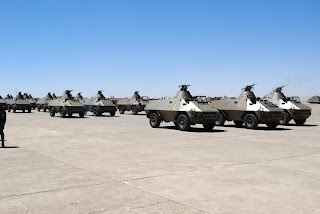 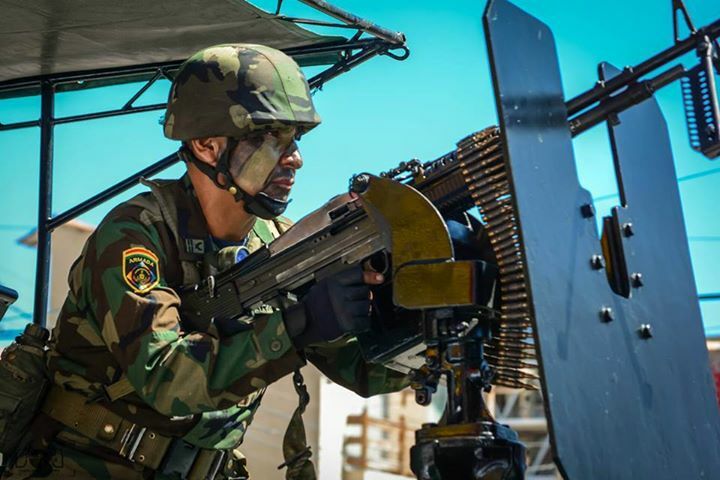 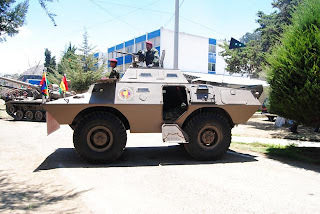 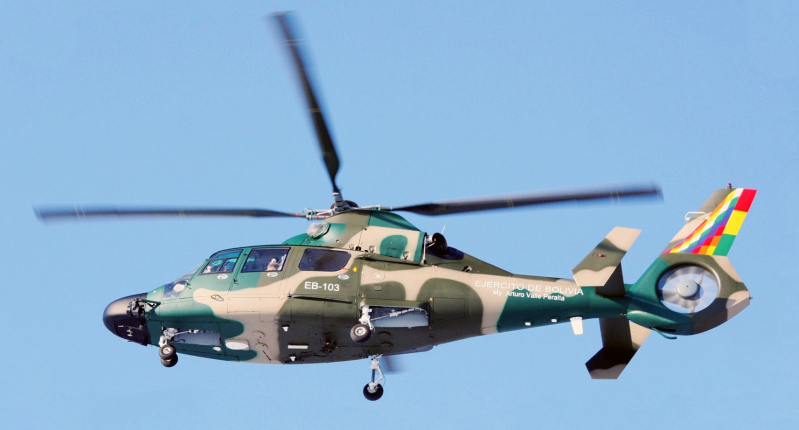 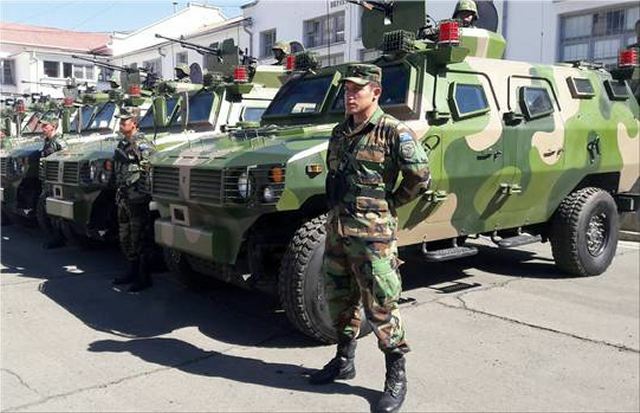 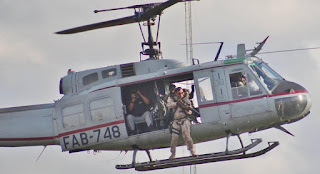 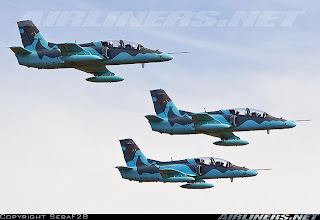 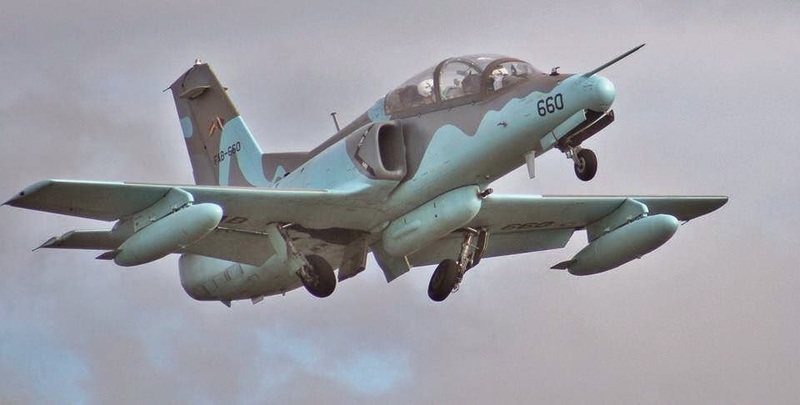 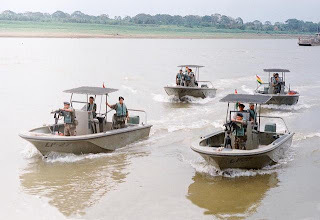 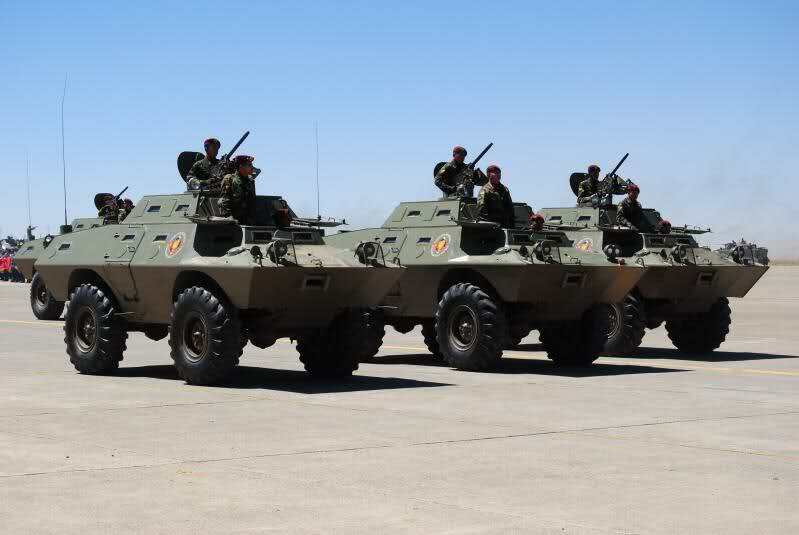 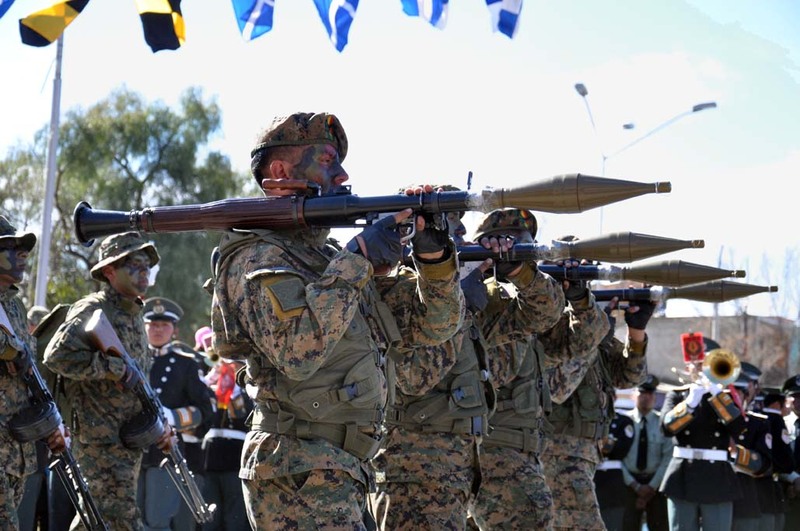 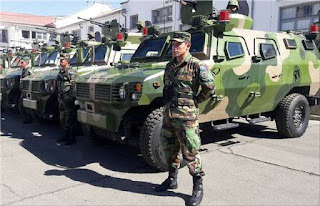 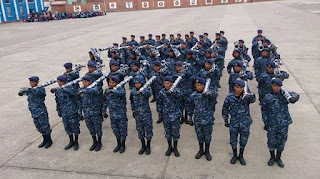 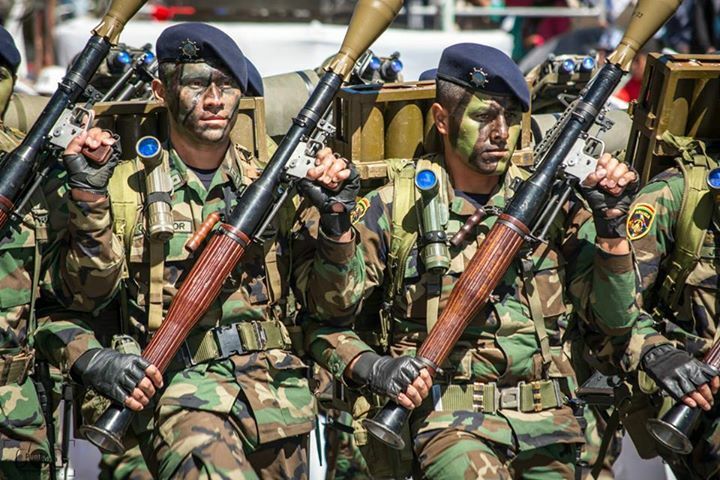 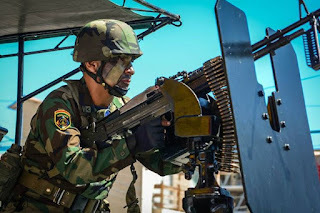 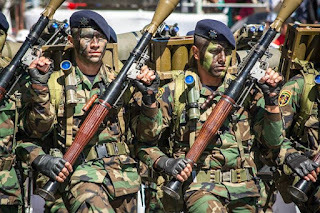 May be equipped with heavy weapons such as HJ-8 anti-tank guided missiles, Browning M2HB machine guns or small multiple rocket launchers with 2.7 inch rockets..
Regimiento de Satinadores de Montana 24 "Mendez Arcos"
Direccion Nacional de Inteligencia- National Intelligence Directorate. 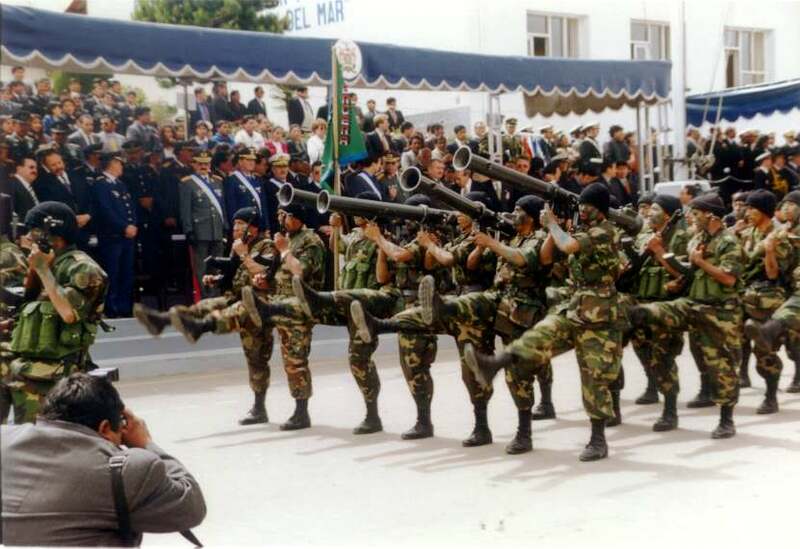 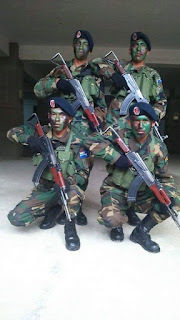 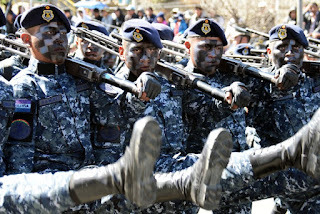 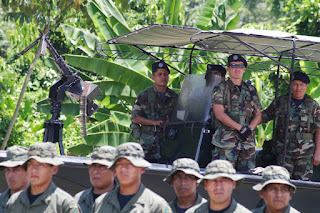 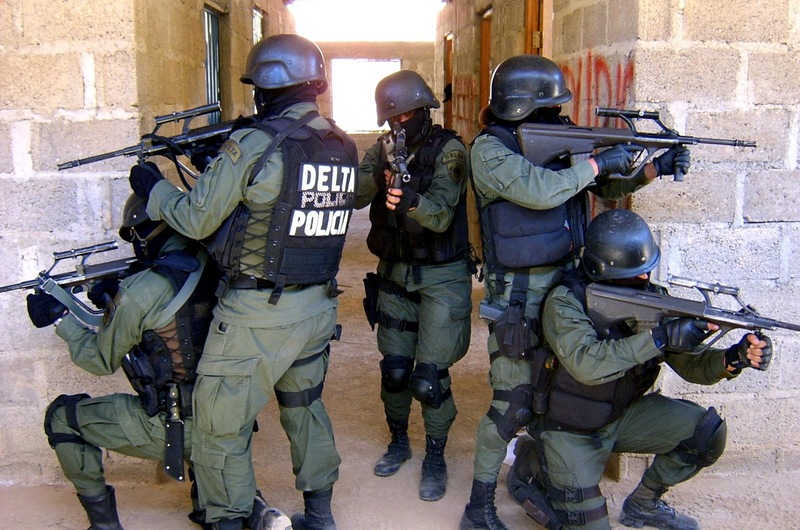 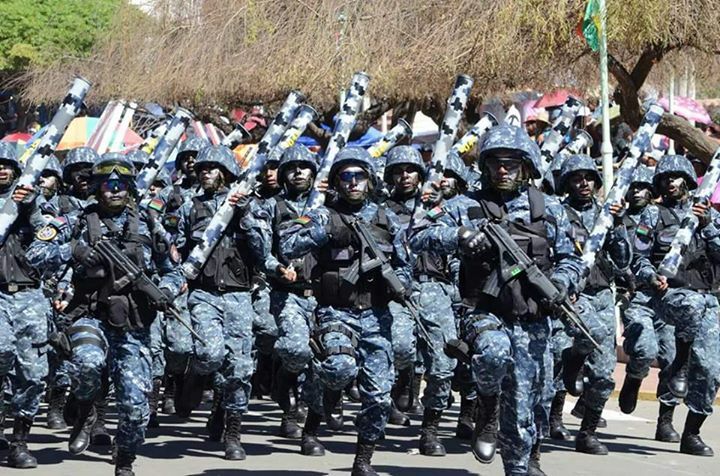 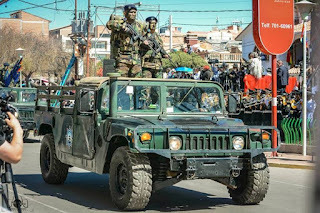 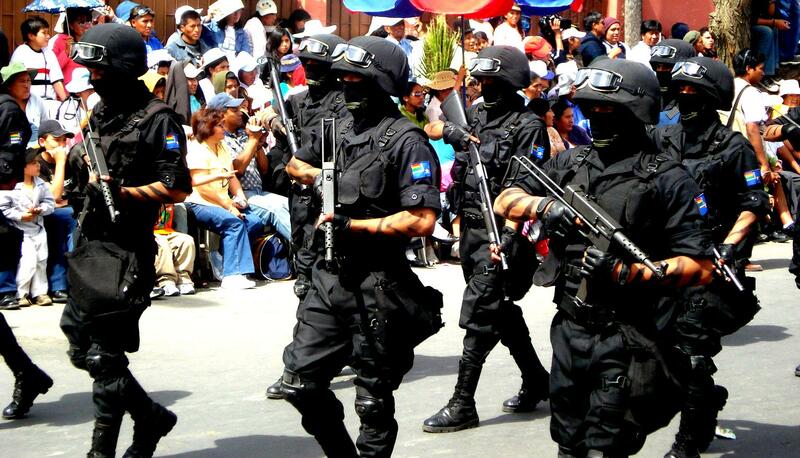 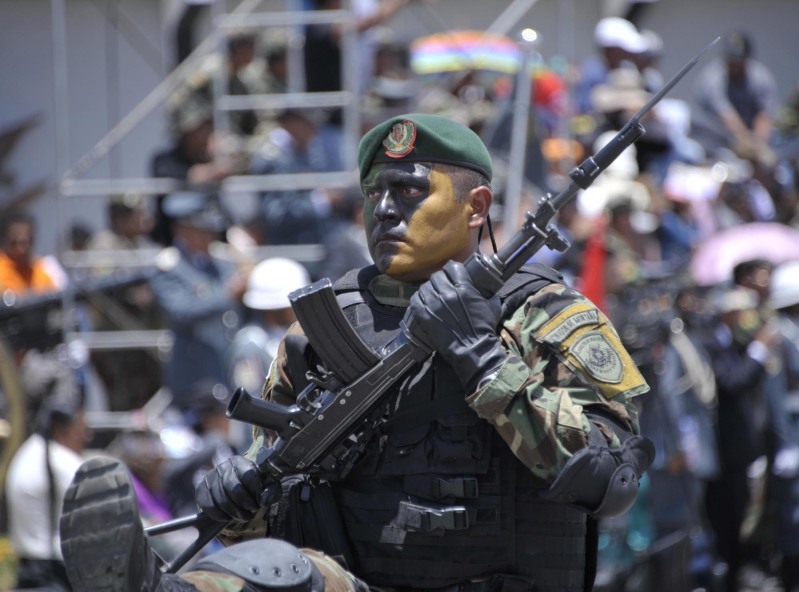 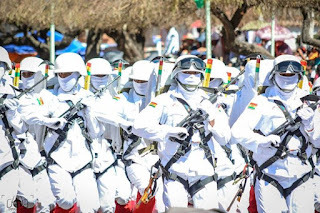 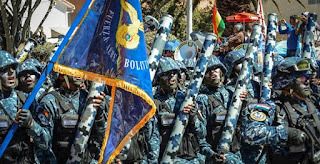 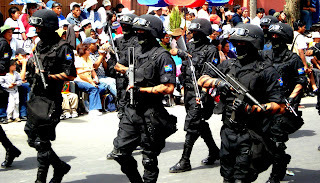 Part of the National Police of Bolivia.